Back row left-to-right: Skinny Don Green, Nick St. John. Front row left-to-right: Tom Devine, Gary Allyn, B. Bailey Brown and Ken Carter. 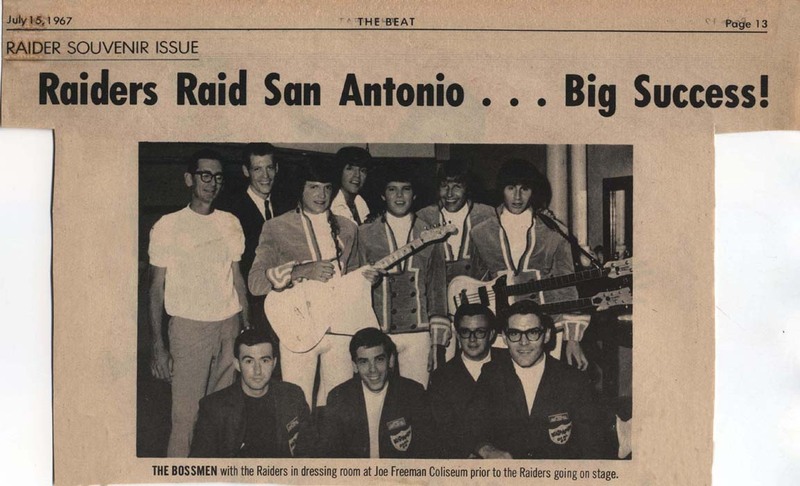 "The second Raider from the left is San Antonio's own Keith Allison. He went to Robert E. Lee High School and was Best Man at my wedding." Special thanks go to Liz Houston Patranella and Bruce Hathaway who helped with identification and to Gary Allyn who provided us with the scan.